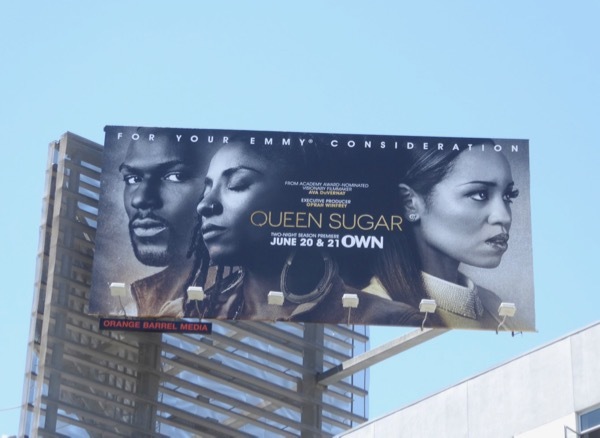 Daily Billboard's specially themed EMMY WEEK may be over, but that doesn't mean the awards campaign season still isn't felt with these sophomore season billboards for OWN Network's Queen Sugar, which promotes the all-new episodes and asks Emmy voters for their consideration. 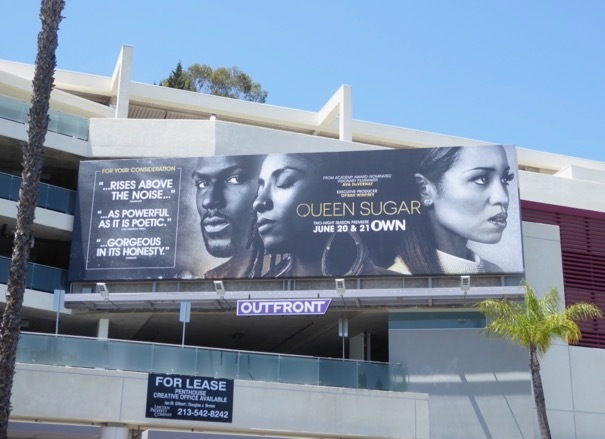 These second season of the drama created and directed by Ava DuVernay is based on the 2014 novel by Natalie Baszile, continues to chronicle the story of three siblings (played Rutina Wesley, Dawn-Lyen Gardner and Kofi Siriboe) when one of them unexpectedly inherits an 800-acre sugarcane farm in Louisiana. 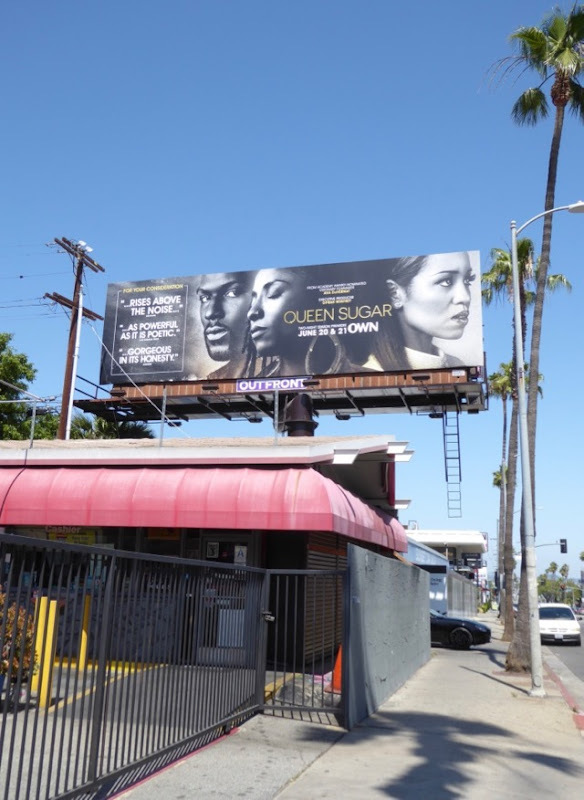 These sophomore season billboards also for your Emmy consideration were snapped in multiple locations along Sunset Boulevard from May 19 to May 28, 2017. 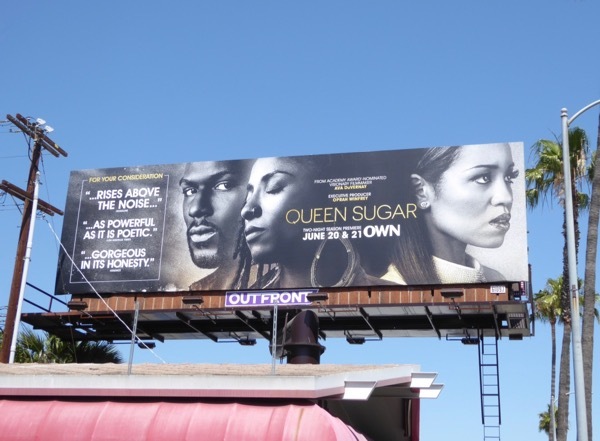 Fans of actress Rutina Wesley can also check out these True Blood TV series billboards from years past when she played 'Tara Thornton'. 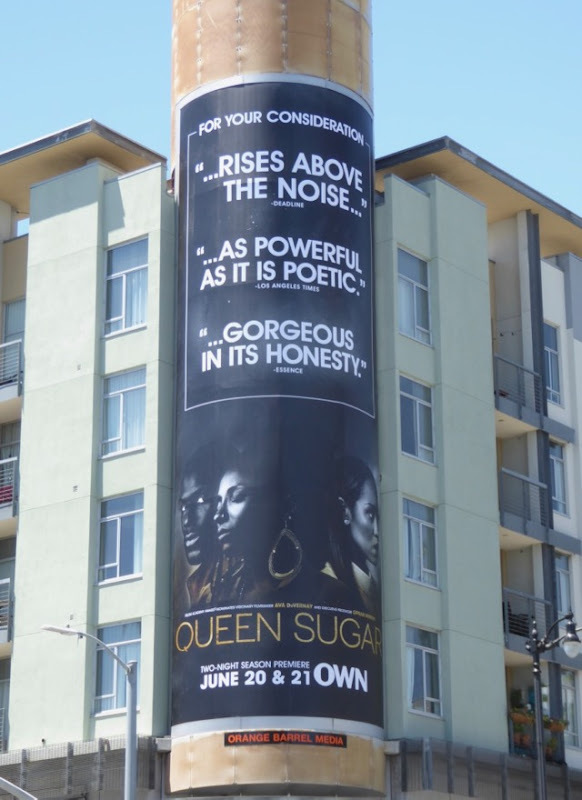 Meanwhile admirers of Ava DuVernay's work can also check out these Selma movie billboards and 13th documentary billboards. 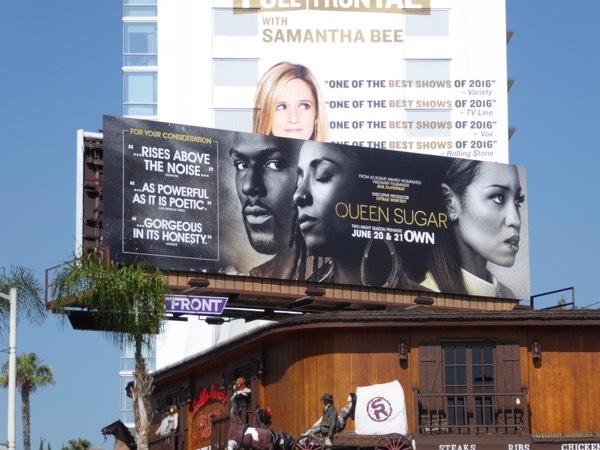 With so many great television shows at the moment, there's just not enough time to watch them all. 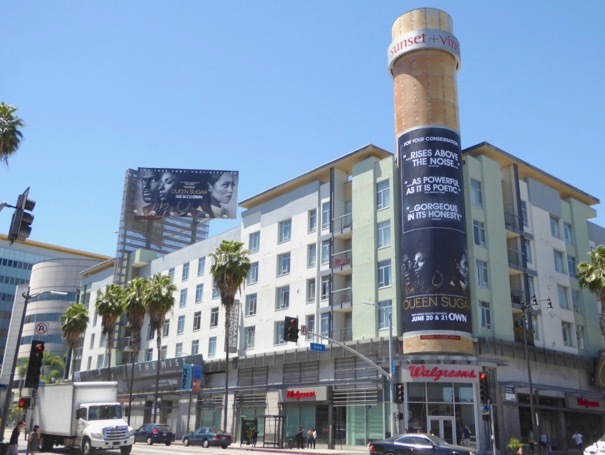 Stay tuned for more cool movie and new TV show billboards coming your way the rest of this week.